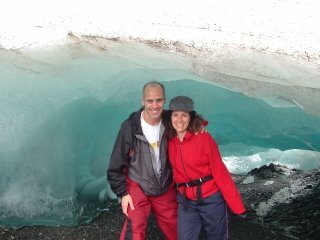 I think we got what we wanted to see and experience in Alaska and more. 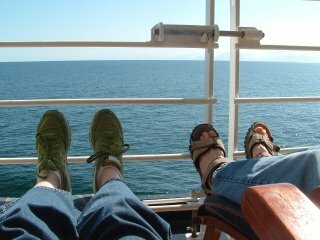 I would have to say that my wife and I were one of the young couples on the cruise ship and tour. We began with a 3 day cruise ship from Vancouver to Juneau Alaska. On one of the mornings while on ship most of the people woke up to being sea sick including my wife who had scheduled a yoga class that morning but had to cancel. I had fun with a 40 minute spinning class followed with 5 miles on the treadmill. The treadmill run was the most difficult run I ever experienced. It was like running on a roller coaster ride. The food on board was exceptional along with the service. 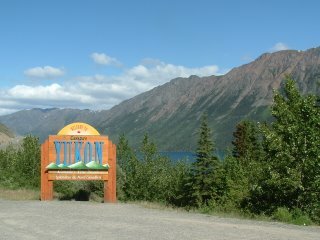 The land tour of 7 days was a jam packed whirl wind site seeing of the Yukon Territory and Alaska. We traveled by train, motor coach bus, and boat to follow the Klondike Gold Rush of 1898. We visited many historical towns and learned about how a romantic life was like to live in the wilderness at that time. We also did a lot of walking and hiking up mountains. This was a hike to the Mendenhall Glacier, Juneau, Alaska. 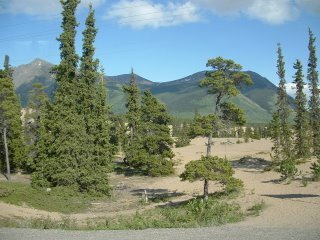 Smallest desert in the mountains. Alaska is calling all those who love the true wilderness and want to experience the last frontier. Don't wait until you retire. 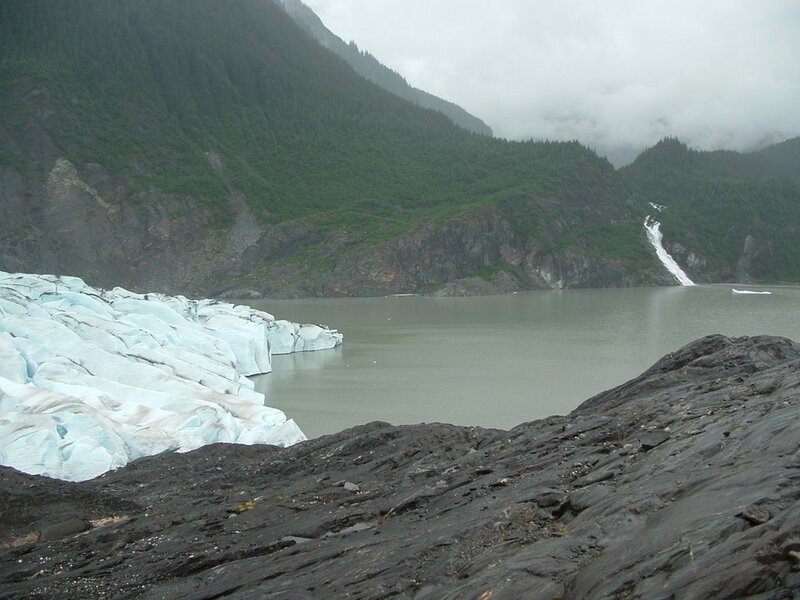 You need all your young strength to enjoy the vastness of Alaska. I wanted to add more pictures but Blogger would not accept more pictures. We are off for a family reunion during the 4th of July week at Deer Creek State Park, Mt. Sterling, Ohio. Anyone want to come visit me for a bike ride along the Deer Creek Triathlon course or swim in the lake can email me for more info. I'll bike Wednesday & Friday. I'll run Tuesday & Thursday. And I'll swim just about every day. Looks like fun! What beautiful pics! Louie, great shots and sounds like you ahd a great time! Funny how life just keeps getting better, huh?? Those are AWESOME pictures! So glad you guys had such a great time! Looks like you had a fantastic time! It was brave of you to run on the treadmill when it must have been pretty choppy! BTW, I have found that if I change browsers (e.g. Modzilla) Blogger accepts more pictures. Glad you had a great trip! I've never been to Alaska, and it is definitely on the list of places I want to visit some day. It looks beautiful! Welcome back! Looks like an amazing trip. Thanks for sharing. Looks like an awesome trip...what great photos. Treadmills on cruise are in a class of their own! I found I had to hang on the whole time I attempted it on a cruise a few years back.